Achaar is a flavor-packed chili sauce that adds umami kick to the foods you love. 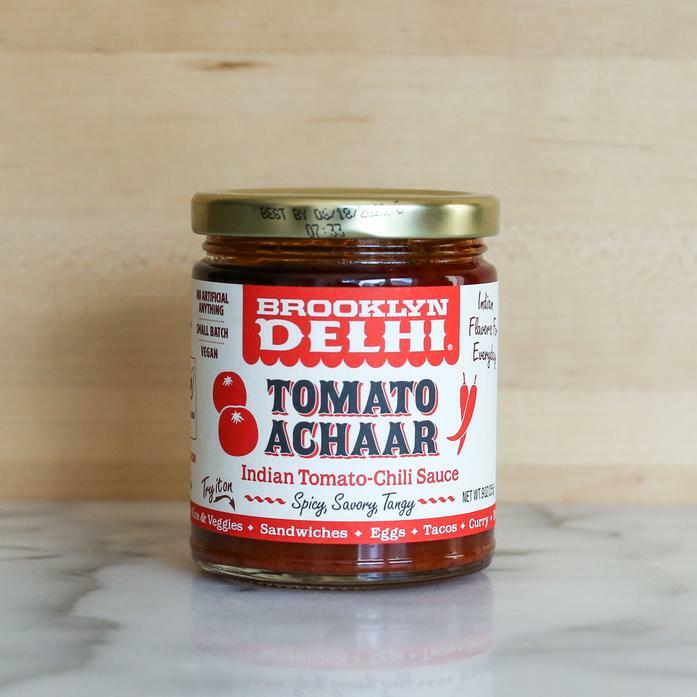 Our Tomato Achaar has a savory, spicy and tangy flavor. Use it just like you would Sriracha or harissa. Traditionally it's eaten with rice, curry, dal and yogurt, but you can top it on most anything - eggs, sandwiches, grilled meats, noodles or even cook with it by adding it to lentils, soups, salad dressings.